Earn $0.39 in VIP credit. Click to Learn More. Ritchey Snap On Rim Strips fit snugly and securely onto rims to protect the tube from sneaking into spoke holes and popping. New coating resists moving around or sneaking up the rim sidewalls. Won't dimple into spoke holes even at high pressures of today's high performance road clincher tires. 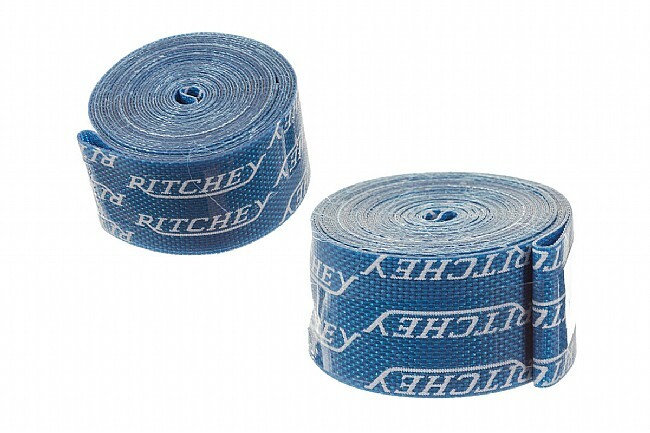 Color: Blue with white Ritchey logos. Size 29 Inch x 20mm (20-622mm ISO). 37 grams per pair.